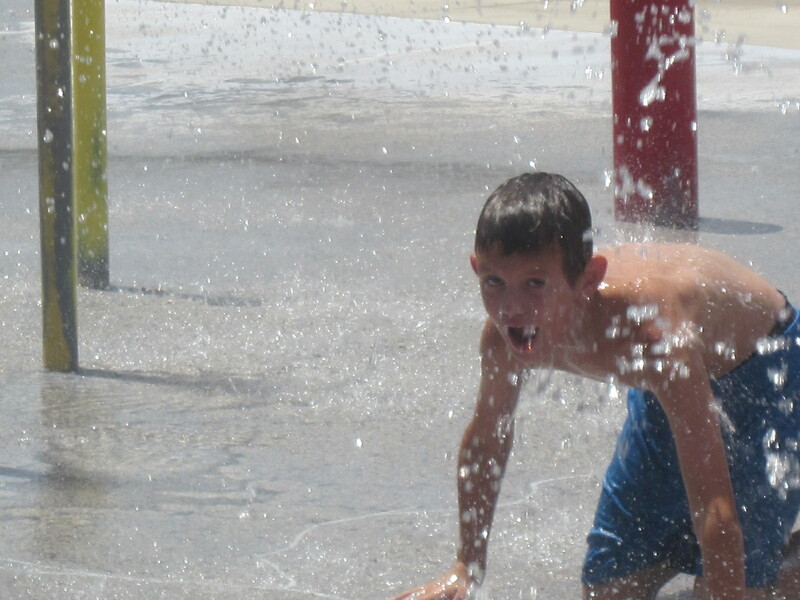 There is nothing like running through fountains of water on a hot day. And the very best way to do it is with a friend. 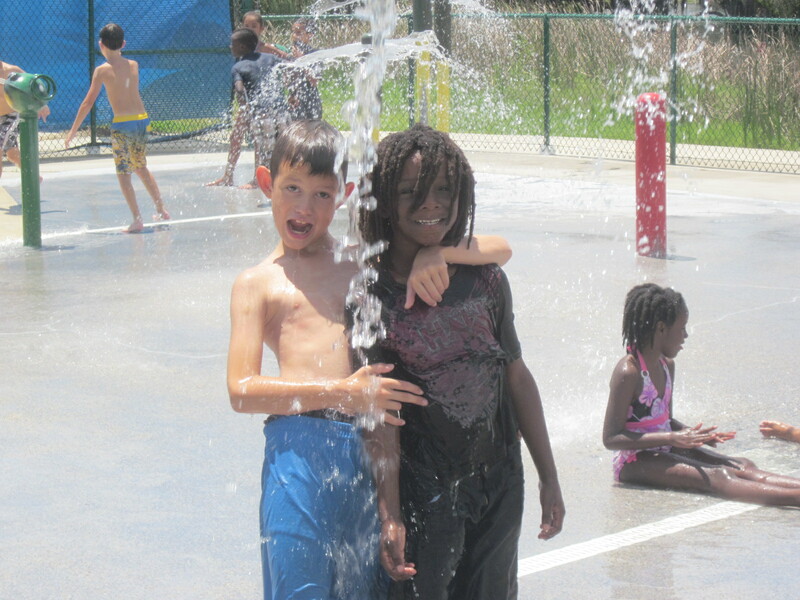 Owen and Jon are full of joy as they enjoy the water park at Lakes Park and also enjoy their friendship. Owen lost his father to cancer seven months ago. He also moved twice in that period of time. He was truly depressed and negative adding to his mother’s grief. But Owen and his Mom met Brenda who has been a member of Good Shepherd since our feeding ministry in the local Park in 2007,although she moved out of this County for a few years and returned on Palm Sunday . Brenda befriended them and literally shepherds them. 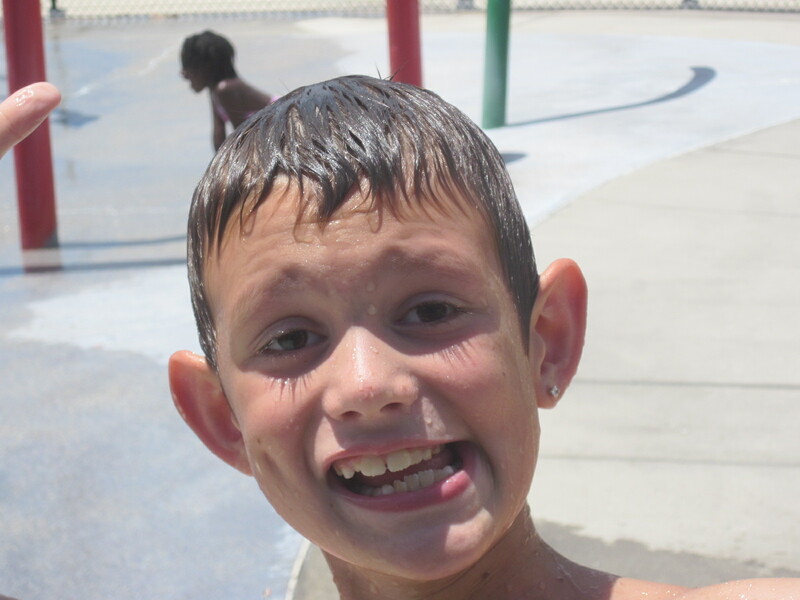 Owen has joined our Sunday school and summer youth program. His Mom has begun to talk with me about her grief and difficulties. The change in Owen is obvious to all. It reminds me of what Jesus said about children in several places including Luke 18:16-17. He welcomed the children and admonished the disciples saying that unless we receive the kingdom (kin-dom) of God like a little child we will never enter it. Wow! So let’s look at how our children accept what God is offering-and it is with great enthusiasm and joy. The more love and caring and good experiences in God’s creation they receive, the more joyful they are. 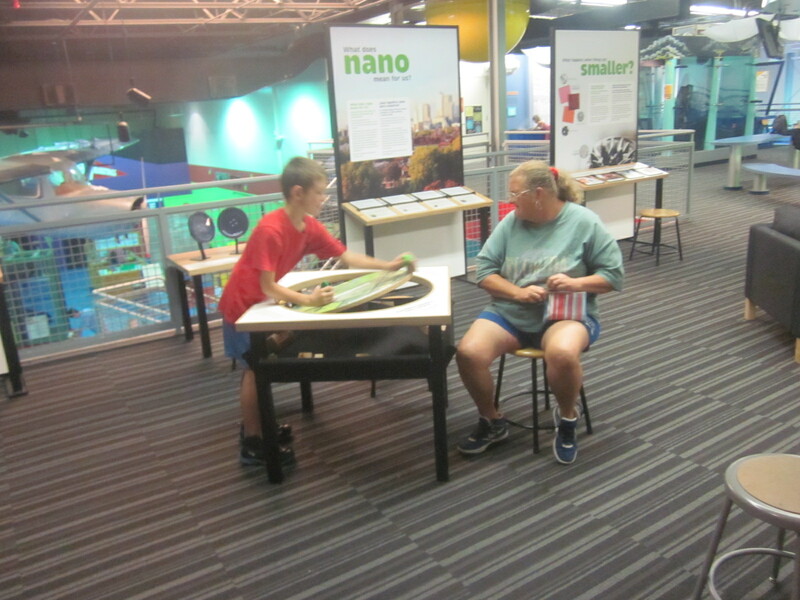 This is Brenda with Owen at our trip to The Imaginarium,where all of the children (and the adults too) become scientists for a day. 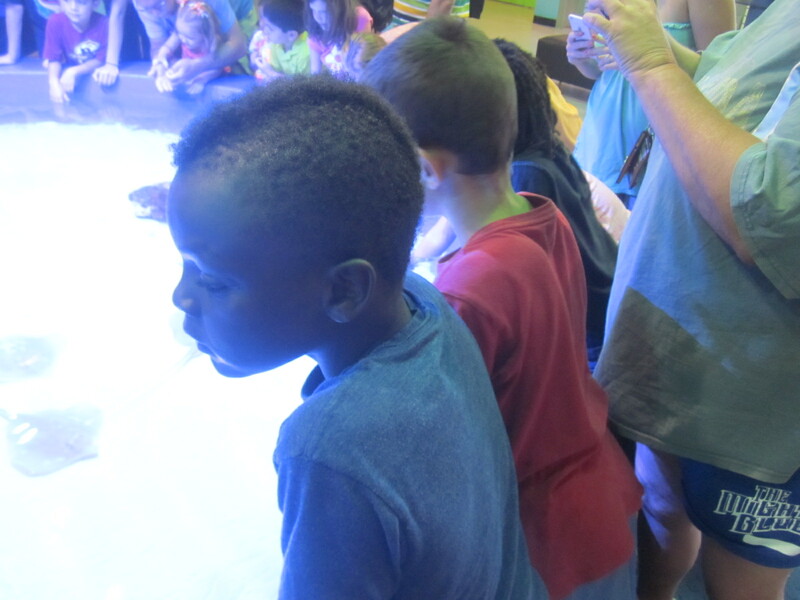 Here Esau and Owen and Jon and Elizabeth are in awe of the creatures in a “touch tank”. 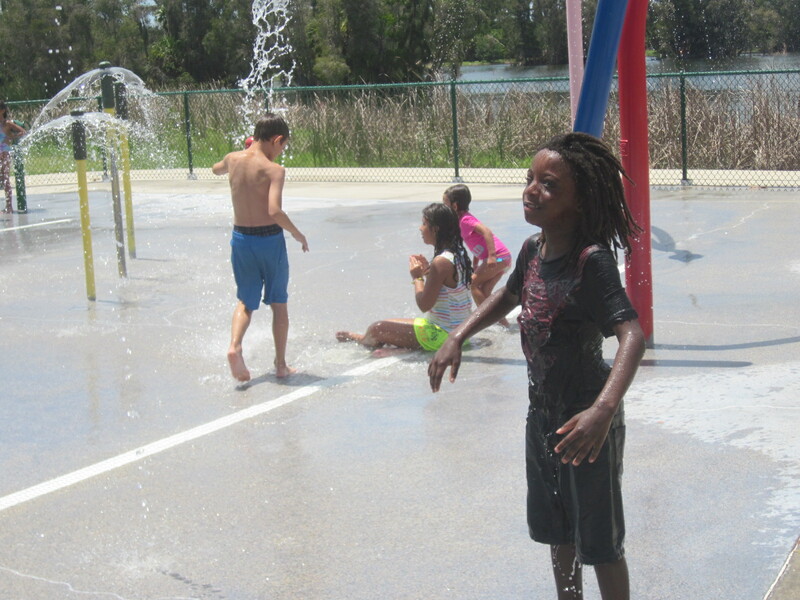 Jon , Esau and Elizabeth (and brother Elisha,9, and two smaller ones too) moved to Fort Myers late this Spring so the family could “start over”. This was a hard move as they left close family behind and traveled a long way to get here. 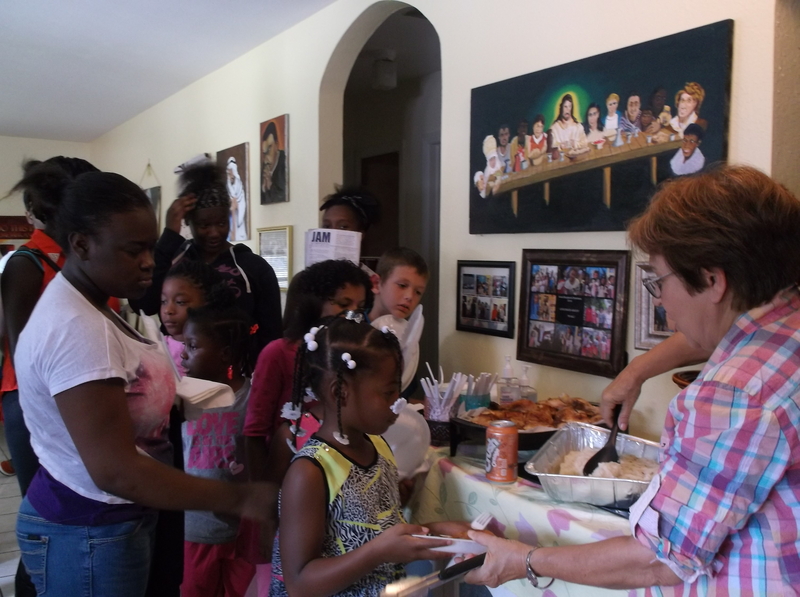 Their parents who are working long hours to make ends meet are so happy that they have become part of the Good Shepherd church. Elizabeth,13, completed the school year before coming but she wasted no time in making new friends. 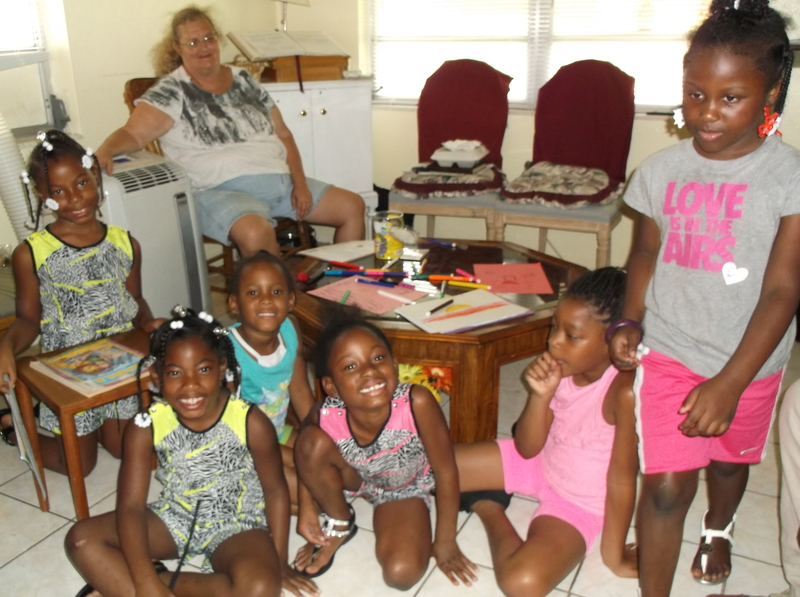 For her, new friends made all the difference. 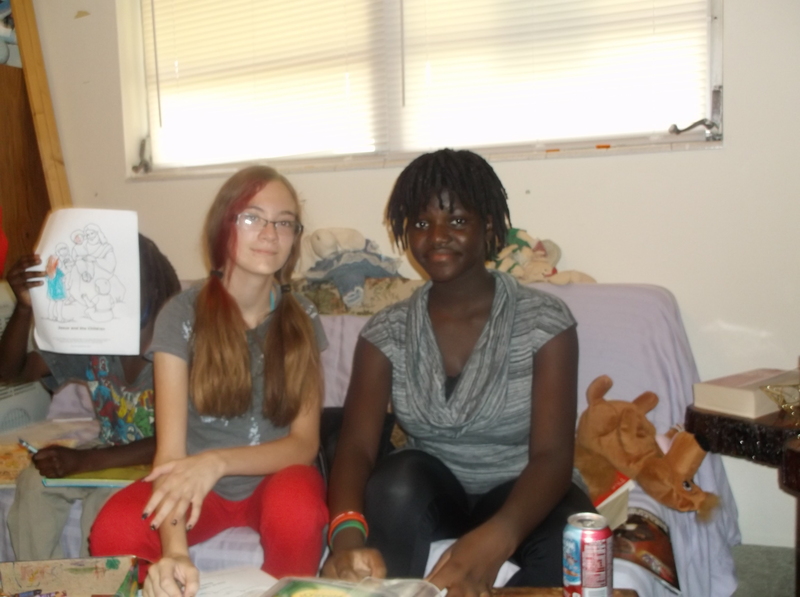 Aleigha and Elizabeth continue to correspond although Aleigha moved out of State last week. Aleigha’s move was sad for us but we pray that it is good for her and her family. 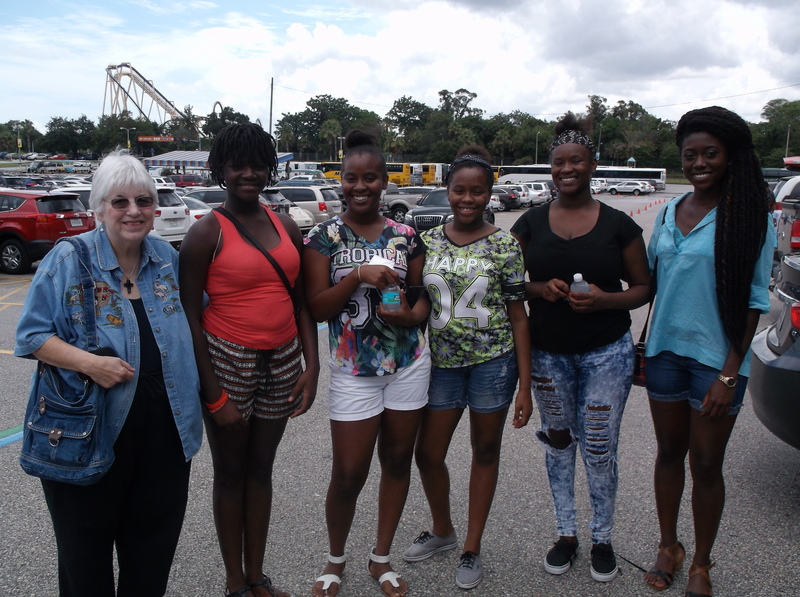 Our other faithful teens, Keeondra, Jolinda and Jakeriya are welcoming Elizabeth into their company. They know what moving is all about too, having moved three times in the last year. The love and caring our kids find at the Good Shepherd is an anchor in lives that are sometimes in upheaval. 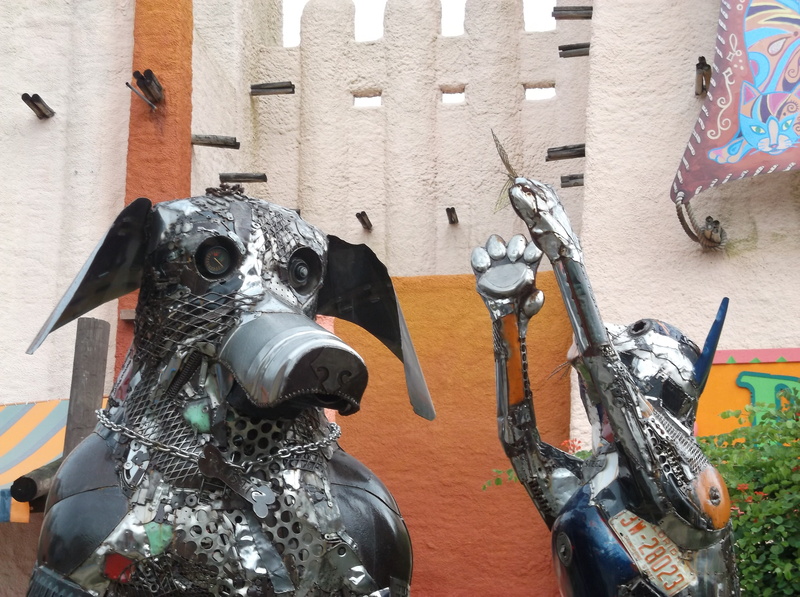 But this is what they teach us: make new friends-love again! 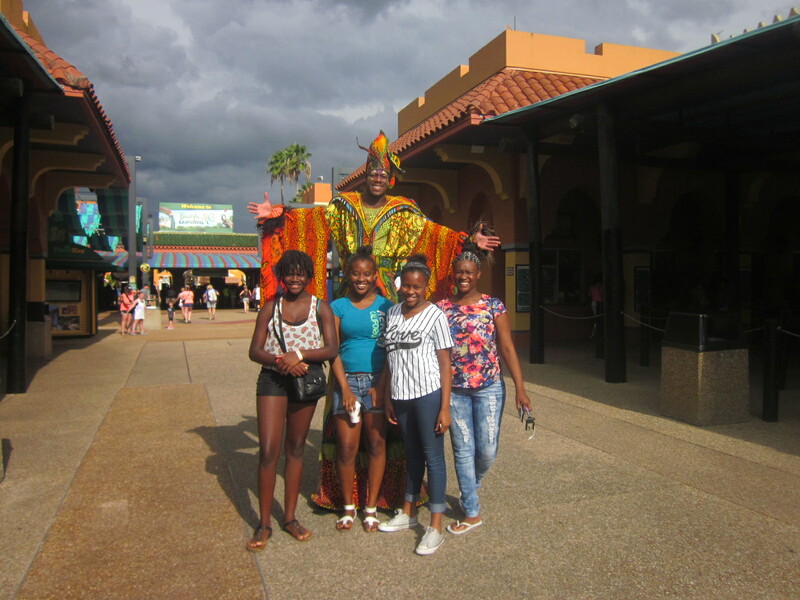 Elizabeth, Jolinda, Jakeriya, Keeondra and our Youth Minister, Efe Cudjoe, as we arrive at our destiny for two days: Busch Gardens in Tampa. 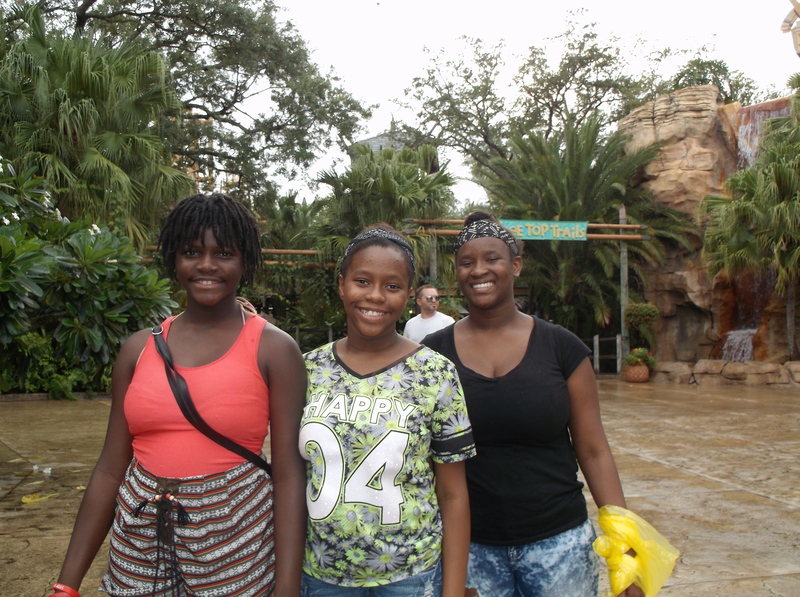 The girls loved the rides and courageously went on almost every one. The weather was lightly raining on and off the whole time and that broke the heat and also cooled us off. Pastor Judy Beaumont and I were thankful for the rain. 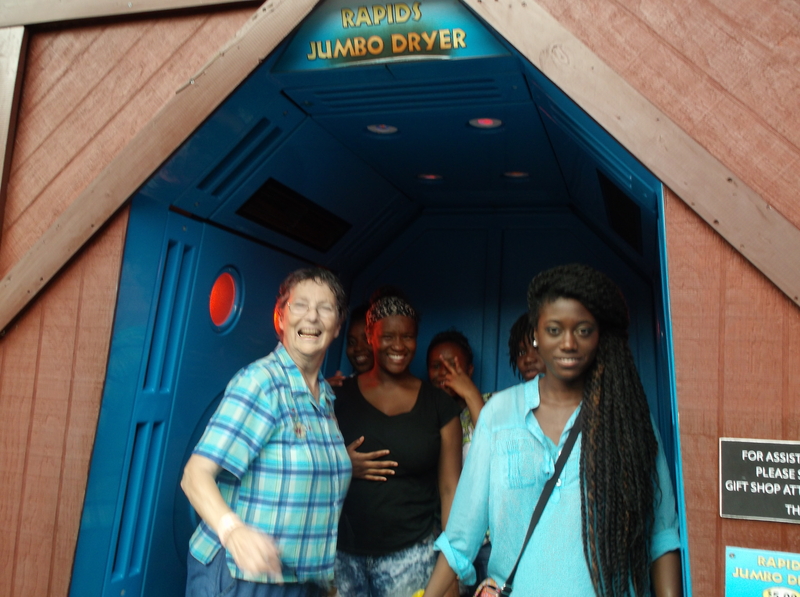 But Pastor Judy B. went a big step farther and cooled off on the Congo River Rapids with the girls. 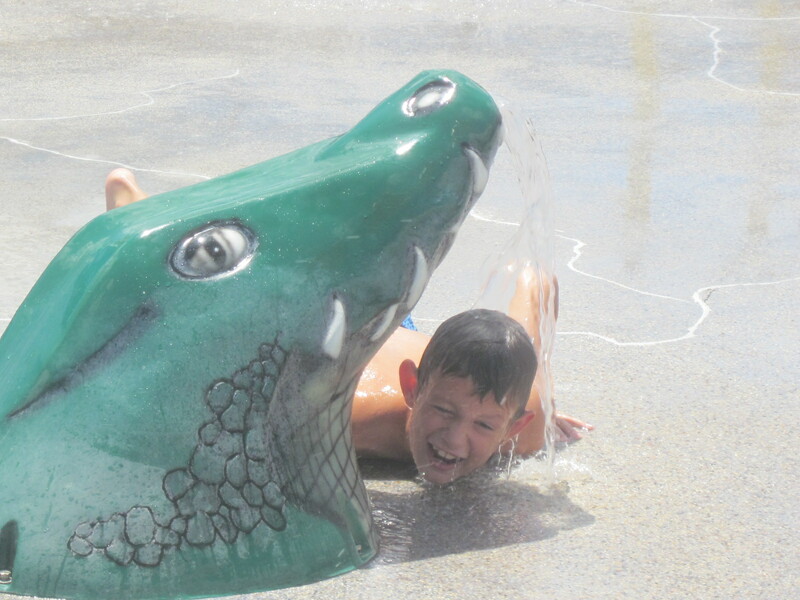 This is a river raft ride with steep rapids that result in a thorough soaking. 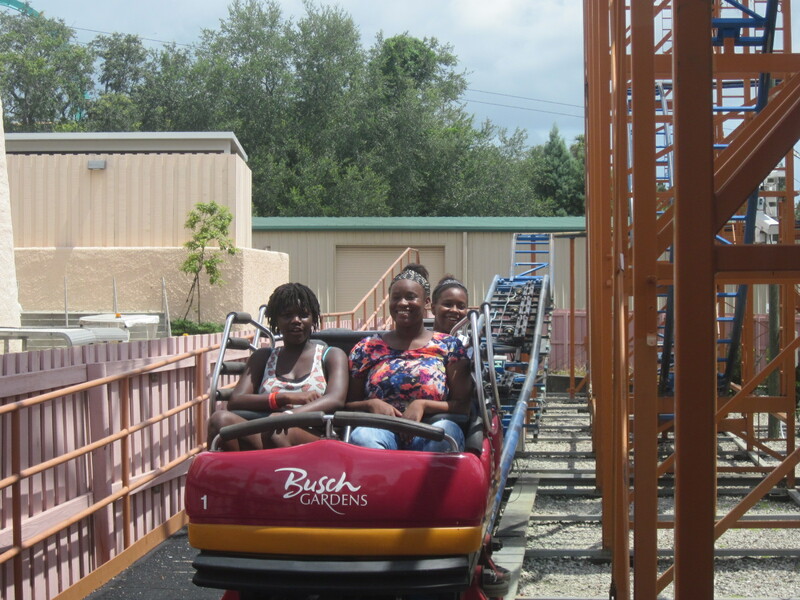 The girls loved it that she enjoyed this ride with them. 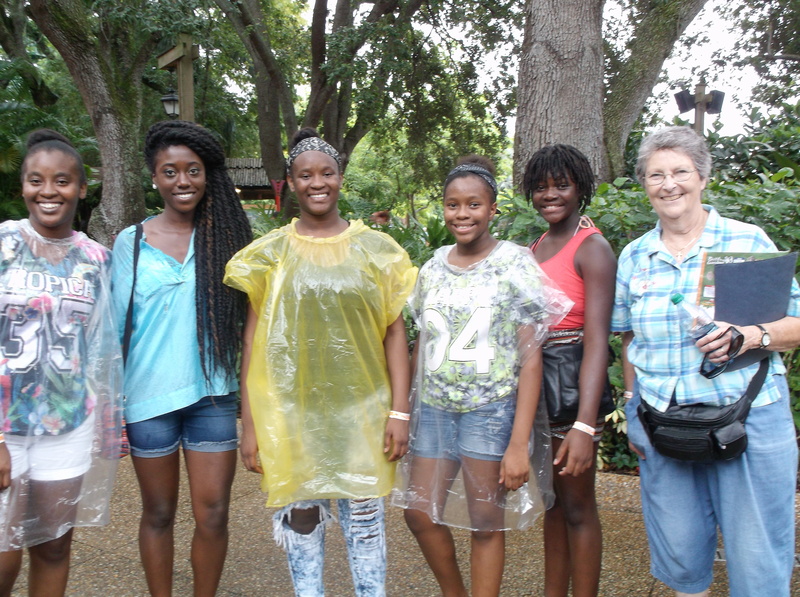 They wore ponchos which helped a bit, while Miss Efe and Pastor JudyB. did not have a dry spot on them. The Jumbo Dryer helped a little. 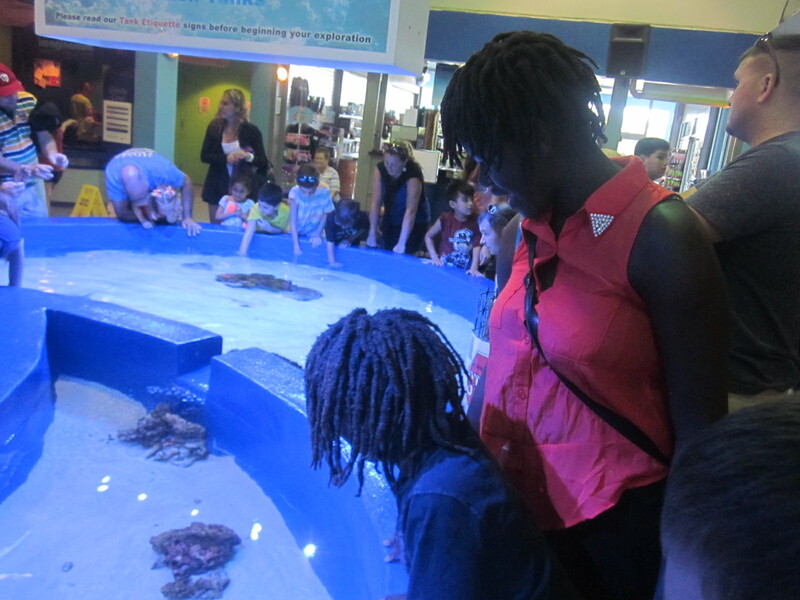 Visiting the animal habitats by train or walking or seeing the animals in a show was another highlight of the trip. 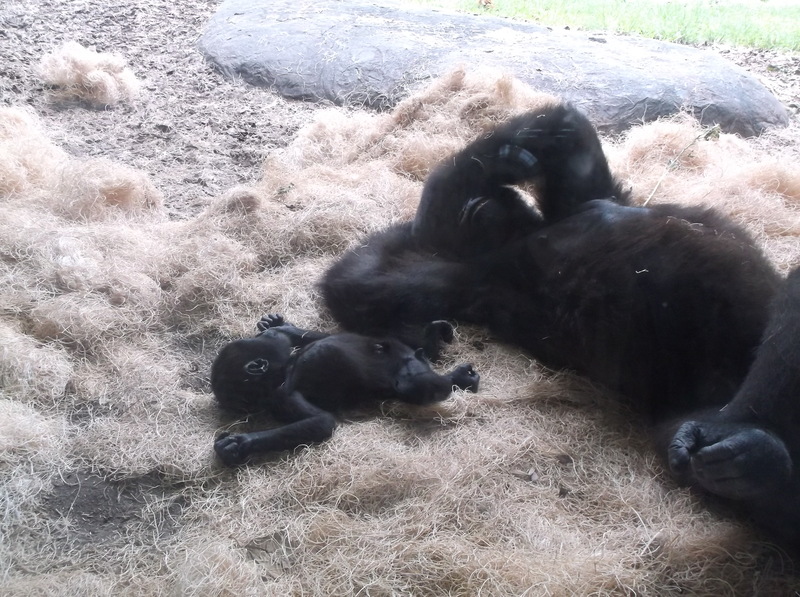 The tigers and the Gorillas were worth a study in themselves, especially this resting mother and baby. 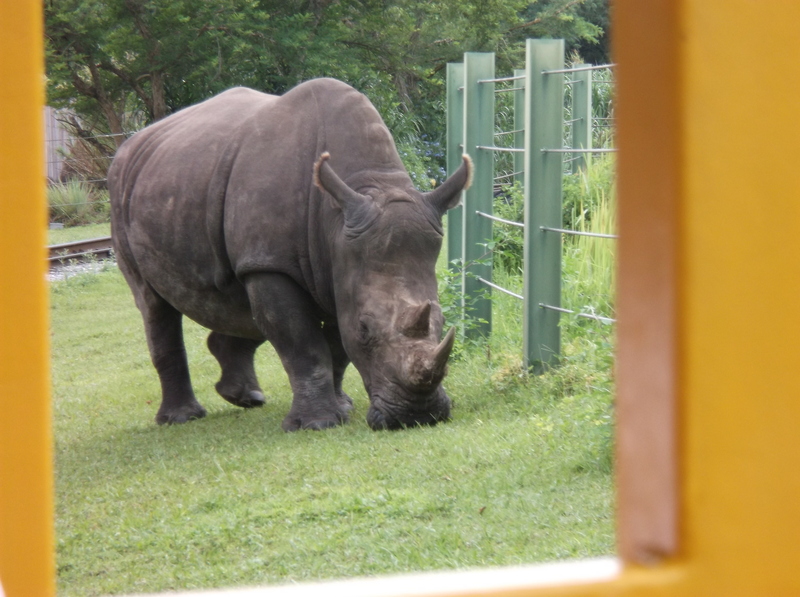 The rhinoceros caused much laughter and outright glee! The peals of laughter made me remember my own church youth group, a group that saved my life as a teen, where we laughed at almost everything we saw. What good medicine laughter is! 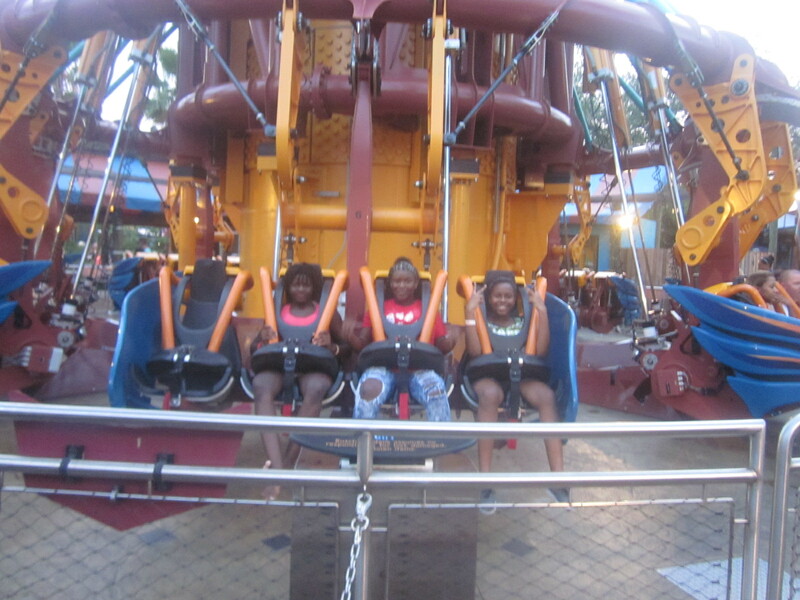 The thriller rides were the most exciting and the girls were proud of themselves for trying every one-especially when they learned that when the teen boys made this trip two years ago, they did not go on many rides at all. 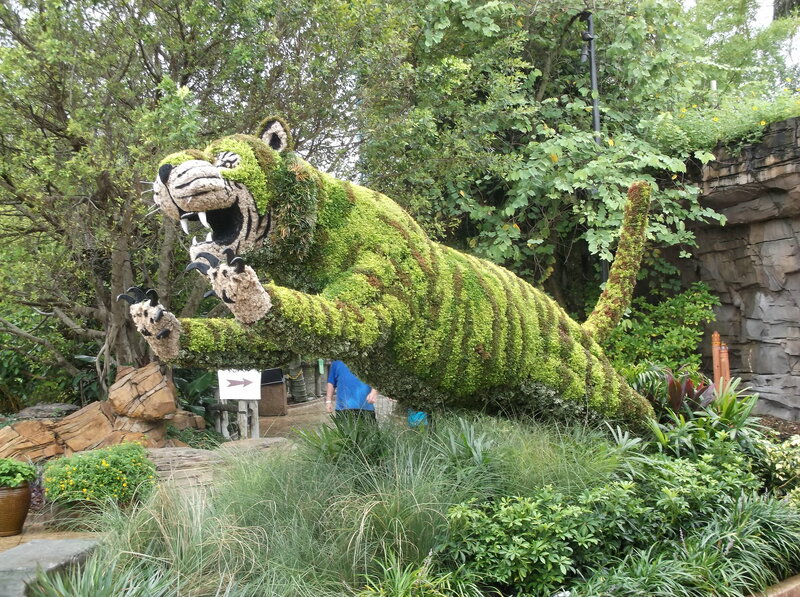 The Busch Gardens experience was magical. 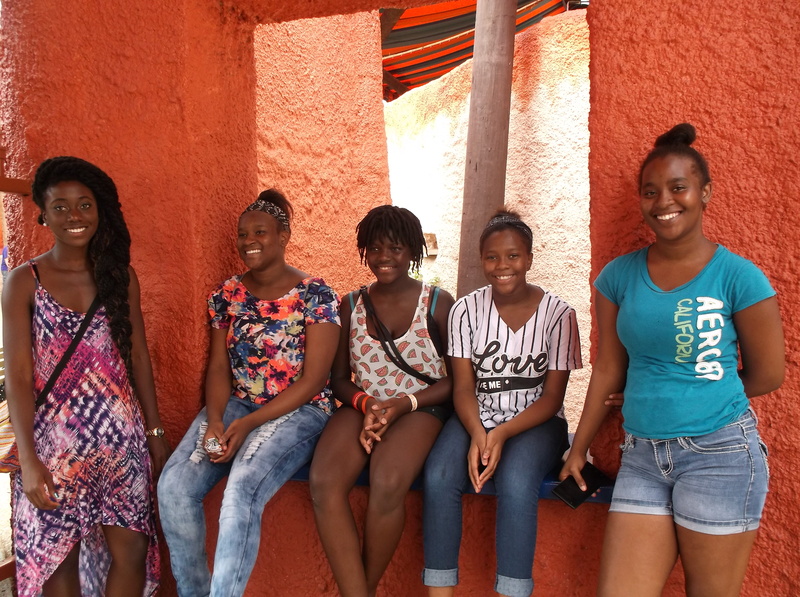 But most of all, the girls reflected that “the bonding experience” (their words) was the most important part of the trip. Now Elizabeth was in the group and they were happy to know her. They said that the sleep over in the Motel and eating meals and praying together also sealed the deal. They wanted to stay the whole week. Not so much to go on the rides, but to stay together in this respite from a world that has many demands and changes that are not always easy. 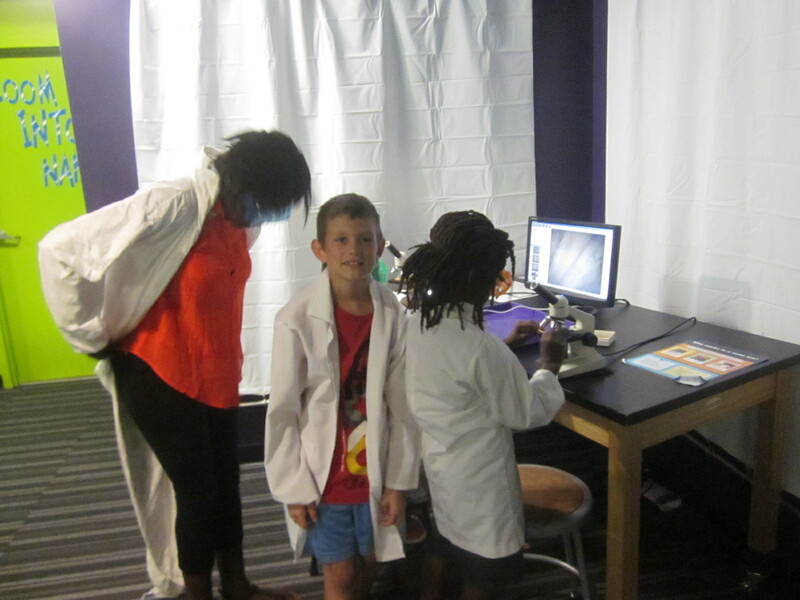 The only sad part of the summer thus far was the losing of a peer, Aleigha and, moreover, the fact that Miss Efe had to finish up her work with us last Sunday. 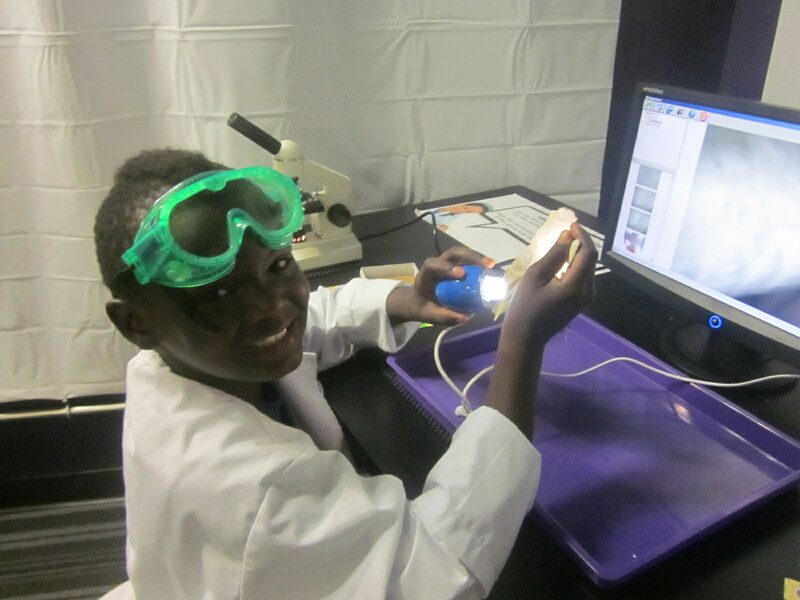 She will be doing research for a year in the area of pediatric infectious diseases and assisting with the young patients at the Duke University Hospital. After this year she will enter Medical School. While we will miss her very much we joined in prayer and blessing that our loving God will continue to bless every step that she takes. 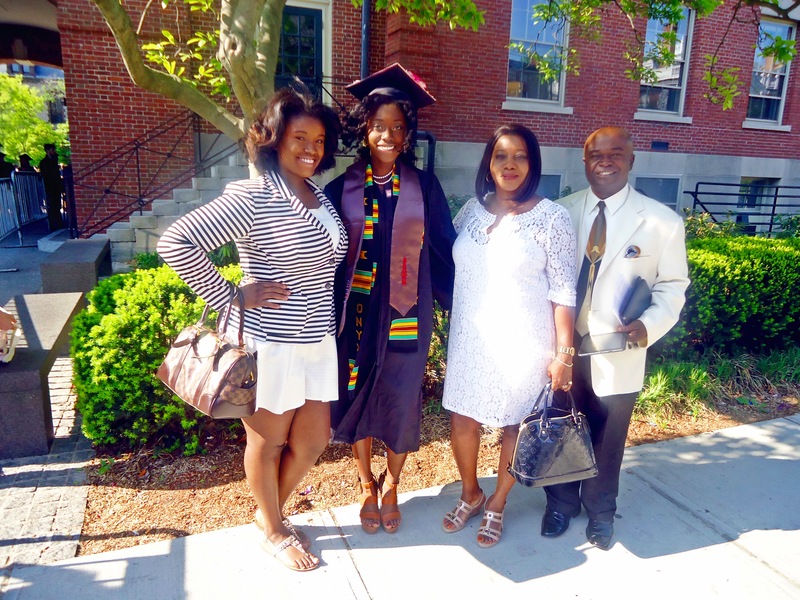 Efe and her family after her Graduation from Brown University. 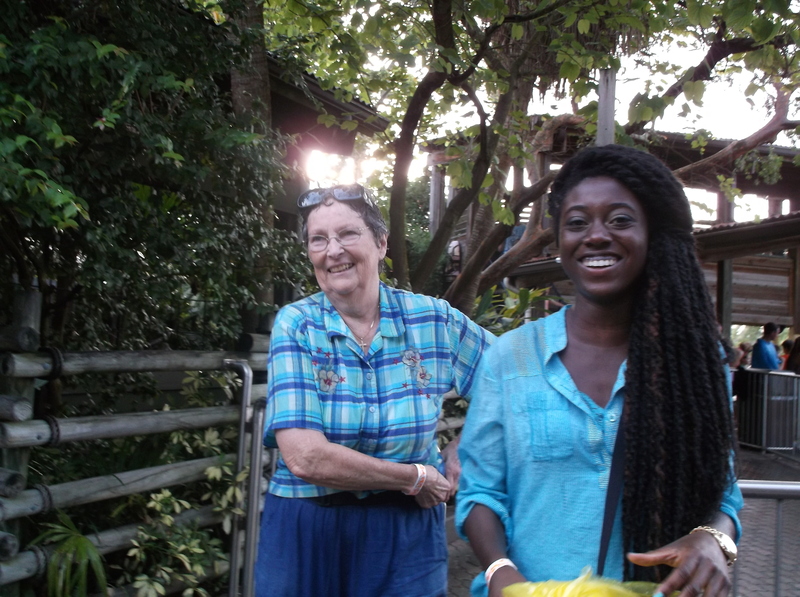 Her sister, Nana, is also completing her residencies in Medical School and her parents, Dr. Joe and Mrs. Pearl Cudjoe continue serving with us at Good Shepherd. Mrs. Pearl will be the teacher of the very large Junior Class once again. We are praying for another teacher and a Youth Minister. In the meantime, Brenda Cummings and Linda Maybin are assisting with the youngest group. 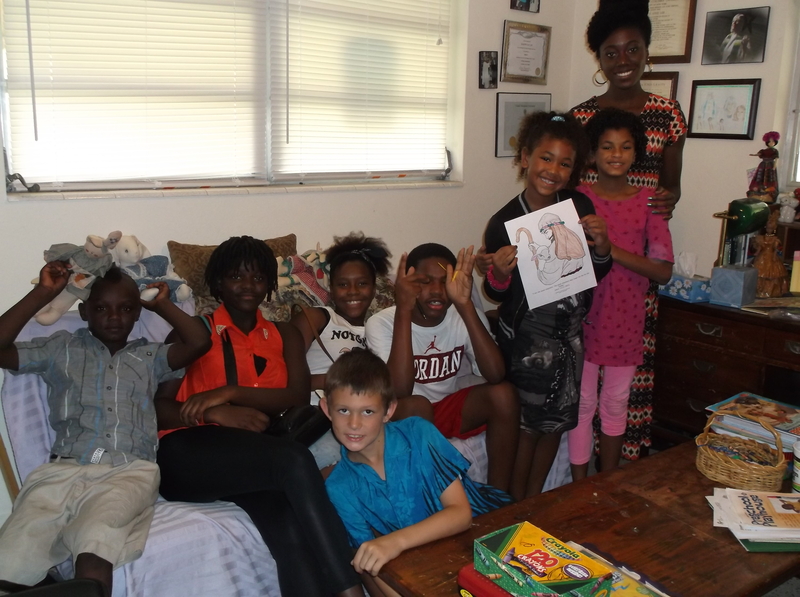 This is “Miss Efe” with her class on her last Sunday with us for a while-July 19,2015. We love you Miss Efe and keep you in our hearts and prayers. We have a few more special trips to take and we will think of you as we continue to show the world how to experience joy and friendship even in the midst of difficulty-especially in the midst of difficulty. Hooray for our Good Shepherd Family!